Studies have answered the question "Is olive oil healthy?" with research proving its benefits—not the least of which are lower risks of cancer and cardiovascular issues. Is olive oil healthy? It's known to lower our risk of cardiovascular disease and other chronic health problems, from stroke and metabolic syndrome to inflammation and some cancers. The olive tree, which dates back at least 6,000 years, has long been a symbol of friendship among nations. The dove with an olive branch is a long-standing icon of peace, and olive branches were awarded to the winners of Olympic games as a token of victory. For just as many years, the precious oil from olives has been regarded as a health tonic. Now, research on the health benefits of the Mediterranean diet—with olive oil holding a key role—seems to confirm its status. For more on the special dietary advantages of olive oil and the different types available, please see our post Olive Oil Benefits. Benefits of olive oil consumption include prevention of cardiovascular disease and other chronic health problems, including such as stroke, metabolic syndrome, inflammation, and some cancers. A study that analyzed data from the European Prospective Investigation into Cancer (EPIC) study showed a significantly reduced risk of cancer in the Greek population among those who consumed approximately three tablespoons of olive oil per day as part of their traditional Mediterranean diet. Other published research from the EPIC study concluded that olive oil may be just as important in controlling blood pressure as eating fruits and vegetables. Extra virgin olive oil is high in monounsaturated fatty acids (MUFAs), and its original bioactive compounds are intact, since it is cold-pressed or expeller-pressed from the olive fruit. (Refined oils have undergone processes that may include heating, chemical solvents, bleaching, and deodorizing; refining creates an oil that has a longer shelf life but has lost some of its nutrients.) Furthermore, olive oil’s antioxidant and anti-inflammatory compounds include tyrosol, oleuropein, olecocanthal, and vitamin E.
Another plus of EVOO is that it’s easy to incorporate into your diet. Use it for dressings, sauces, marinades, sautéing, grilling, and even baking. Using olive oil may even boost your intake of nutrients from other healthy foods: Studies have shown that people will eat more vegetables with the addition of olive oil, and that the nutrients in those vegetables are more easily absorbed when paired with olive oil. Like wine, there are numerous flavor profiles among EVOOs; don’t be afraid to try different brands to see which you enjoy the most. Contrary to popular belief, EVOO can be used at higher temperatures, although due to its higher cost and more intense flavor, some people do not use it for this purpose. According to the American Olive Oil Producers Association, EVOO’s smoke point (the temperature when oil begins to break down and burn) is 410°F, far above the 250°F to 350°F range that covers most cooking. Just remember: When it comes to olive oil, you can get too much of a good thing. 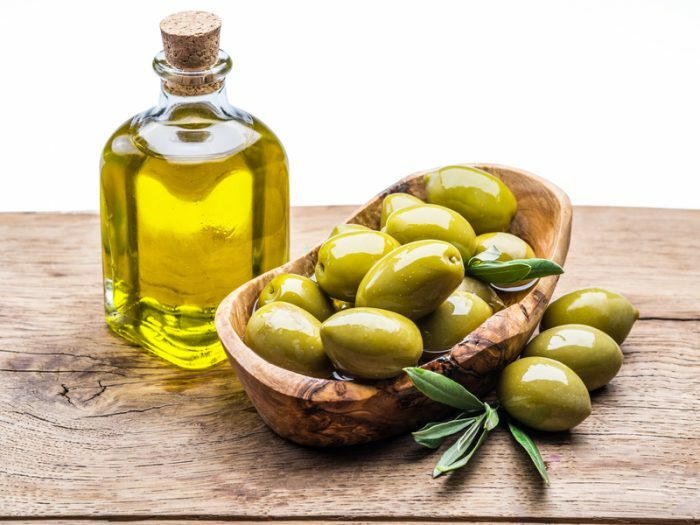 At 120 calories per tablespoon, all of the benefits of this “healthy fat” can vanish if you drown your foods in olive oil. Buy an olive oil mister or spout, or measure it by the teaspoon so you apply only a small amount at a time. 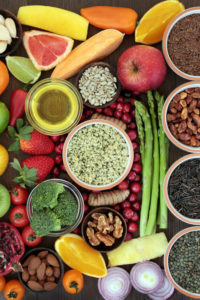 anti inflammatory, antioxidant, belly fat, blood pressure, calories, cancer, cancers, cardiovascular, cardiovascular disease, cooking, dates, diet, health, health problems, inflammation, mediterranean diet, metabolic syndrome, mufa, nutrients, stroke, the mediterranean diet, vegetable oil, vegetables, vitamin, vitamin e, wine. I thought you might be interested in this article on https://universityhealthnews.com: Is Olive Oil Healthy?